Don’t let anyone fool, blogging isn’t easy when you’re just starting out. I can’t tell you how much time I wasted at the beginning of my blogging endeavor without these blogging tools. I’m not sure if there is anything I didn’t try the first few years of blogging. I kept looking for an overnight success without putting in the work. It didn’t work! Please don’t make the same mistakes I did. Learn from my mistakes so you can drastically speed up your blogging success. Since I’ve become an entrepreneur last year I’ve found a lot of different blogging tools. I’ve tried so many it’s hard to even remember them all. Some were amazing while others were pointless. Being a solopreneur is a lot of work but these blog tools can help make your life easier. Here are the best ones that can save you time, help you earn money, and reduce stress from blogging. To be an amazing blogger you have to maximize your time! These blogging tools will help you tons. If you’re running a blog and actually want to grow over time make sure that you are using Bluehost and WordPress. I know because I used Weebly for the first year. It was the biggest one of the biggest blogging mistakes I’ve made. When I eventually had to transfer to using WordPress in 2017 it cost me an obnoxious amount of money. Don’t make this mistake by trying to avoid WordPress. There are so many tutorials out there that can show you how to navigate your dashboard. Plus, Bluehost and WordPress are two of the most trusted names in blogging. Bluehost has reliable and fast services. And the best part is how easy they make it to install WordPress. Literally one click installation! Anytime I’ve had to contact Bluehost the customer service has been unbelievable as well. When most bloggers are starting out it’s all about keeping expenses to a minimum. But, if you want to speed up your success you need to stop thinking like a blogger and start thinking like an entrepreneur. Your blog will run slow. This is bad for two reasons — Google and your potential fans. The average attention span isn’t long when it comes to people waiting for your site to load. The higher the bounce rate the quicker people will leave your site. You want people to stay on your site for a long time! If you set your site up correctly you can make it easy for users to navigate it and read all of your work. One of the easiest ways to do this is by buying a paid theme. Not only will it run faster it will look more professional. When you just start blogging your writing will already be amateur enough. A free, clunky theme will only make matters worse. The solution? Studio Press premium themes. They are powerful, paid themes that are used by some of the top bloggers out there. 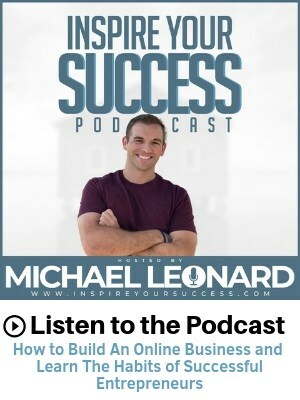 People like Michelle from Making Sense of Cents, Pat Flynn from Smart Passive Income and so many more. It’s the theme I’ve used since Sept 2017 and love it! Plus, it’s not that much money. Genesis is part of the Studio Press blog layouts. They can range anywhere from $50-$100 which isn’t much in the scheme of things. Again, don’t look at it as an expense, think about it as an investment in yourself and your business! Learn more about StudioPress premium themes here! Genesis is super easy, powerful, and efficient to use. But sometimes you will want to make custom pages or posts that might be hard to make on any theme. Instead of spending more money on a web designer or wasting time yourself, try out Elementor Page Builder. While there is a paid version, the free one will do just fine. I have really enjoyed using it and wish I would I have found it sooner in my blogging journey. Building an email list is one of the most important things you can do as a blogger or any entrepreneur for that matter. Why? It’s a collection of your biggest fans. While you can promote your posts on Pinterest, Facebook, Twitter, and Instagram social media aren’t consistent. One change from the algorithm and you can lose 90% of your traffic. If you don’t have a list that can literally kill your blog. But, if you start a list from day one you can start creating raving fans instantly. Your list will stay with you no matter what happens with another social media algorithm change. I use and recommend ConvertKit. Not just because I want to promote it but because I believe in it 100%. Here’s why. I want to stress this point as I missed out on a lot of subscribers by not having my list and opt-ins set up properly. In May 2016, I went “viral” with my net worth post that got featured on Rockstar Finance. I was ecstatic, I literally geeked out so hard I told the world about it. Only one problem. My email opt-in was set up with a janky free plugin on WordPress. At the time I didn’t even know it. Eventually, I logged into it, saw 500+ subscribers (when my list was at like 50). This was nearly a year later! When I tried to email them so many bounced (because they hadn’t heard of me) and/or unsubscribed and marked as spam. This led to having my emails going straight to spam for months. It took months for this to finally resolve itself. Not to mention a ton of stress and frustration on my end. Since that giant fiasco, I have switched to Converkit. It’s one of the most trusted providers by some of the biggest bloggers out there. They make it easy to grow your list, automate emails sequences, and build opt-in forms. The service is paid and 100% worth it. I’ve tried several software providers but Convertkit is by far my favorite. Click here to learn more about Convertkit. Plus, as the saying goes, “the money is in the list.” If you aren’t building your email list from day one you are making a huge mistake. Remember, your email list is how you create raving fans, build a following and send out your latest blog posts. As you become more established in your blogging career you will want to start creating your own products to help solve your reader’s problems. The best way to promote your ebooks, courses, and coaching programs is by emailing your raving fans! All the other methods, Facebook, Twitter, Stumble Upon (RIP), and other random ones are just tactics that won’t do much. If I could go back in time I’d start at the beginning focusing only on these three things. More than three main items to focus on is just too much. Don’t jump from one tactic to another like I did look for overnight success. Focus on these building blocks from day one. 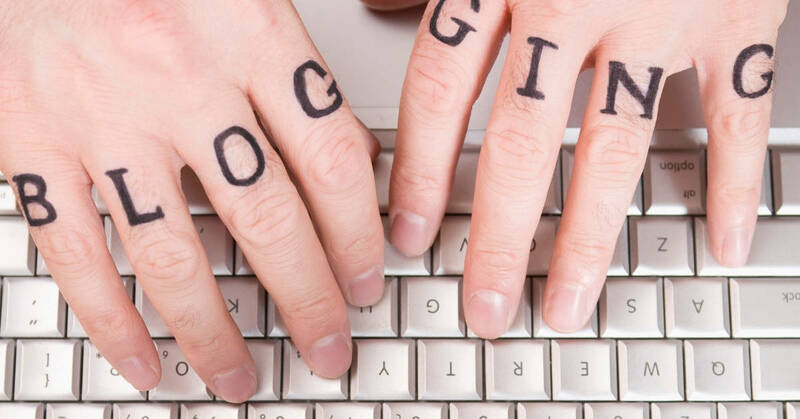 SEO is another important tool because as I mentioned, social media algorithm changes can cause massive swings to your blog traffic. But, if you have the right SEO tactics in place you can begin to rank on Google. Google traffic is one of the best kinds of traffic. While they have algorithm changes as well, Google is where 90% of people do their online searches form. If you can learn to rank on Google you can get consistent blog traffic for years. I’ve spent much of 2018 finally learning about keywords, SEO best practices, and link building. I’ll be honest it can be overwhelming at times. There is too much information online. Instead of wasting more time reading another keyword research post I bought “Stupid Simple SEO” by Mike Pearson. It’s a truly epic course. Mike is a master of SEO and created a website that made $95,000 in passive income from Amazon affiliates in 2017. While he still worked at his full-time job! And he did it all through SEO. I took the course in July of 2018 and am already seeing my Google ranking increase. I can’t wait to see what it does over the next few months as I actually have a plan for SEO. Learn more about Stupid Simple SEO here. The last major source of traffic to focus on for your blog is Pinterest. I know I sound like a broken record but I also neglected Pinterest for years…and paid the consequences. Unlike SEO, Pinterest success can happen almost overnight. While you need to set up your account, create great pins, and join boards it’s much faster results than other social media platforms. It wasn’t until I took Pinterest Avalanche until I began to realize all the mistakes I had been making. 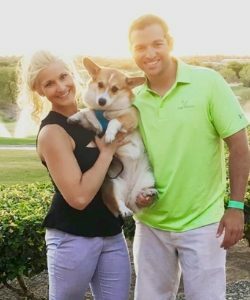 The course was created by Alex and Lauren, who make over $100,000 per month from their two blogs. Needless to say, they’re very savvy when it comes to growing your Pinterest. Don’t waste time creating ugly pins, spamming group boards, and having your content NOT get read. Invest time and energy in learning Pinterest with their course. One viral pin can give you traffic for years and months! And if your blog is set up with Converkit you can capture tons of emails and start building raving fans. Learn more about all that is included in Pinterest Avalanche today! Yoast SEO is a must have plugin for any blogger. Even if you’re just starting out this is a must-have plugin. To create an epic blog it needs to be easy to read. One of the best ways is to write short sentences and include images. Images break up big chunks of text and make it easy on the eyes for readers. But you don’t want to use any old image from Google. You want to use copyright free photos that are quality. Check out these sites to find images that will make your blog entertaining and easy to read. Canva is another great FREE tool to use for your blog. While there is a paid version, the free one will work just fine. Canva is where I make all my pins and customize every image for my site. Check out this tutorial to learn how to get started using Canva today. If you want to make it as a blogger you have to be organized. Otherwise, you’ll get frustrated, angry, and maybe burn out or quit. I know because I was very close to doing so in the early days. Now that I’ve written for several huge blogs as a paid contributor I’ve learned a ton about organizing your blog for maximum efficiency. Trello is a free tool that I absolutely love. I couldn’t recommend it enough! It’s a great way to keep all your projects, assignments, and task in one place. As you can see I have a board for all the things I need to do for my blog. I have one for my to do’s, one for my upcoming blog posts, big projects, and a few other things. The more organized you can be the more efficient you will. The more efficient you are, the more content you can create and lives you can change. While I prefer Trello for a lot of things Google drive is still tough to beat. I keep copies of all my blog posts, PDF’s, course info, and everything else in organized files. It’s a great free resource that all bloggers should take advantage of. One of the best blogging tools out there is Tailwind. I just started using it again because I was using BoardBooster but the company collapsed earlier in 2018. Luckily, Tailwind is fairly simple to start using for your blog. This is how I schedule all of my content on Pinterest. Once a week is all it takes to schedule content for the entire week. Learn more about Tailwind today! One of the hardest parts about blogging as an individual is your time. Time is scarce, especially if you’re working a full-time job. The last thing you want to do after writing a post is to promote it. But, if you don’t promote your content you won’t have too many people reading your blog in the beginning. What’s the point of writing without getting anyone to read it? Instead, use Buffer to automate your social media sharing. You can do this for an hour on Sunday’s and your content can be promoted for a week or two with minimal effort on your end. The goal is to find blogging tools that allow you to remove yourself from doing everything manually. 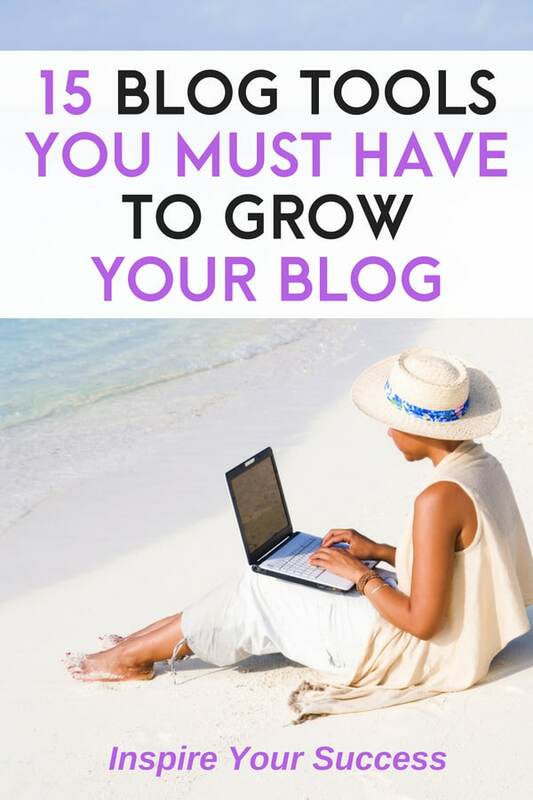 If you want to grow your blog you have to make it easy for readers to share your content with their friends, family, and followers. Social Warfare Pro makes it easy to add buttons to your site and the paid version lets you customize a lot more. For only $25 for a year it’s well worth the investment in your blog. Plus, it looks professional and the paid version lets you change certain share settings to promote posts that are performing well on social media. Why this doesn’t come standard on Google chrome and every browser window I’ll never know. Grammarly, as the name implies, helps correct your punctuation. If you’re writing 10-15,000 words per week like I am, this tool is essential. And best of all? It’s 100% free. Add it to your browser today! Blogging has the ability to change your life if you can learn how to maximize your time. Don’t waste time on pointless plugins and tools that don’t save you time or money. Which is your favorite blogging tool? Thsese are really helpful blogging tools thank you for sharing this post. No problem. I’m happy they helped!